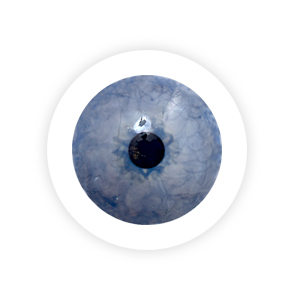 Whether painted, printed or simply tinted, Reflex Prosthetics are designed with one goal – to offer people with diseased or damaged eyes the opportunity to lead a free and confident life. 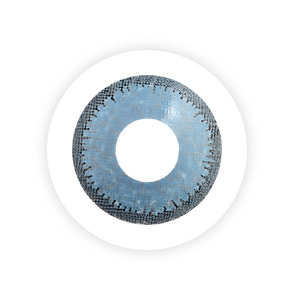 With decades of experience, our talented artists and technicians have developed a fine-tuned ability to create lenses that accurately match the appearance of a patient’s ‘good eye’. 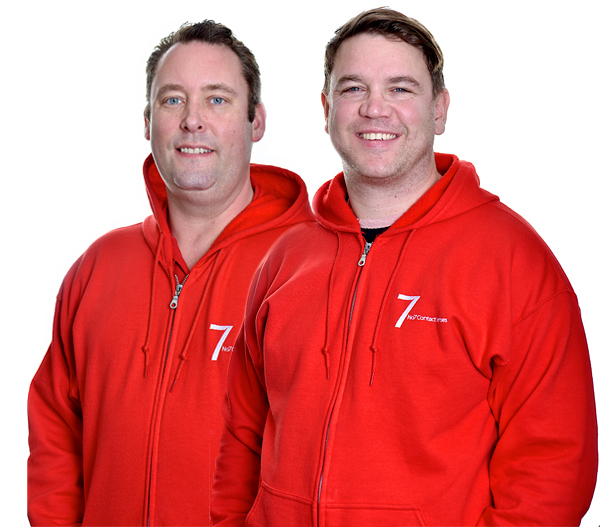 When coupled to No7’s Reflex range of custom soft lens designs, you have a therapeutic solution that offers outstanding patient satisfaction. Lee Adams, our talented Reflex Prosthetics Hand Paint artist, shows us his creative process. 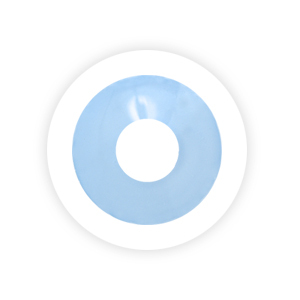 Simple to fit, low cost and available in a range of solid colours, Reflex Tints are the perfect choice for patients who need to mask a mild disfigurement but do not require the intricate detail provided by a hand painted or printed lens. Versatile by design, you can order Reflex Tints in a variety of iris and pupil diameters, clear or black pupils and a light, medium or dark tint. With patented printing technology, Reflex Colours hydrogel lenses bring a new dimension to realistic colour matching, accurately simulating the intricate patterns and colours of the natural eye and with the facility to create as many colour combinations as there are people in the world. 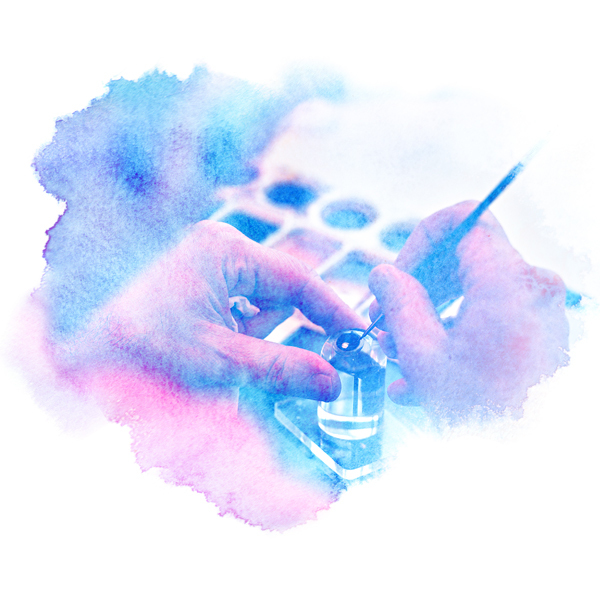 Reflex Hand Paints are individually crafted by skilled artists to provide the best possible match for each patient’s natural eye colour – a process performed with such fine detail that brushes with only a few hairs (sometimes even a single hair) are used. Oté Sensation is an all-in-one solution that combines safety with comfort thanks to a double disinfecting system and the addition of a high-quality Hyaluronate, made using an environmentally-friendly, water-based process which does not contain any animal or toxic substances. 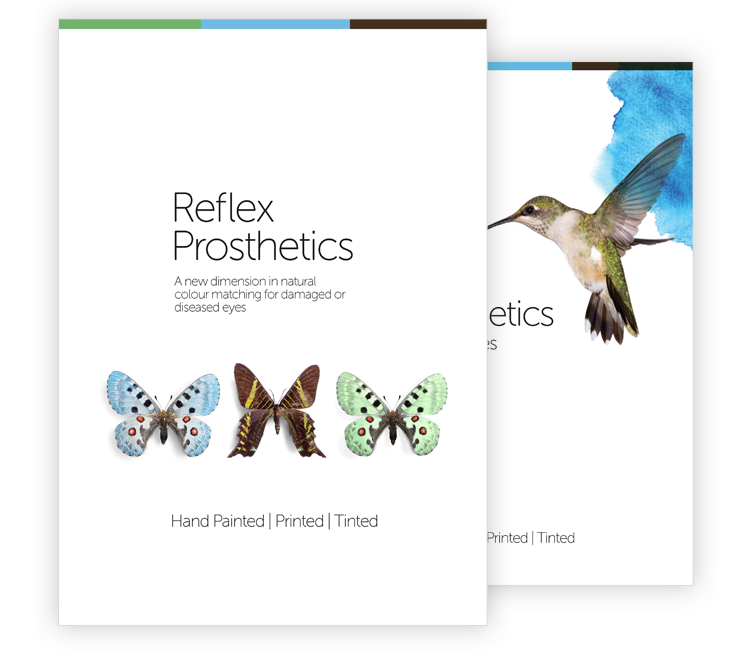 Our experienced Reflex Prosthetics team offer dedicated support service. So whether you need guidance with an order or advice with a colour match, our friendly team are here to help. If you would like to know more about Reflex Prosthetics, or you would like to request a visit from one of our team, why not get in touch.